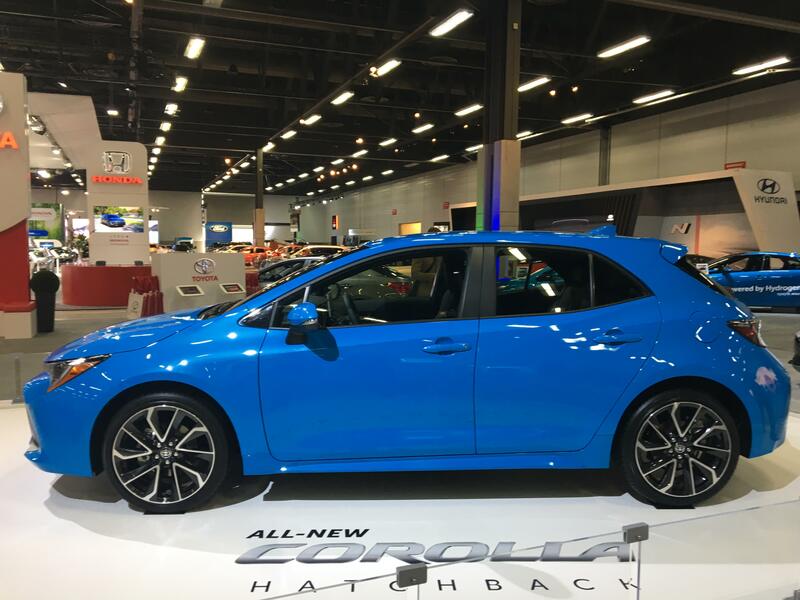 The Motorshow was in Edmonton earlier this Month and Mayfield Toyota was there capturing all the juicy details about the latest-and-greatest from Toyota, including the 2019 RAV4, Corolla Hatchback, and the all-new Avalon. It was the first time the new RAV4 was showcased in Canada (we even beat out Toronto and Vancouver)! The Corolla Hatchback turned a lot of heads thanks to its bold blue colour and sporty interior. It also showcases the next-generation Entune 3.0 infotainment system and Safety Sense 2.0. 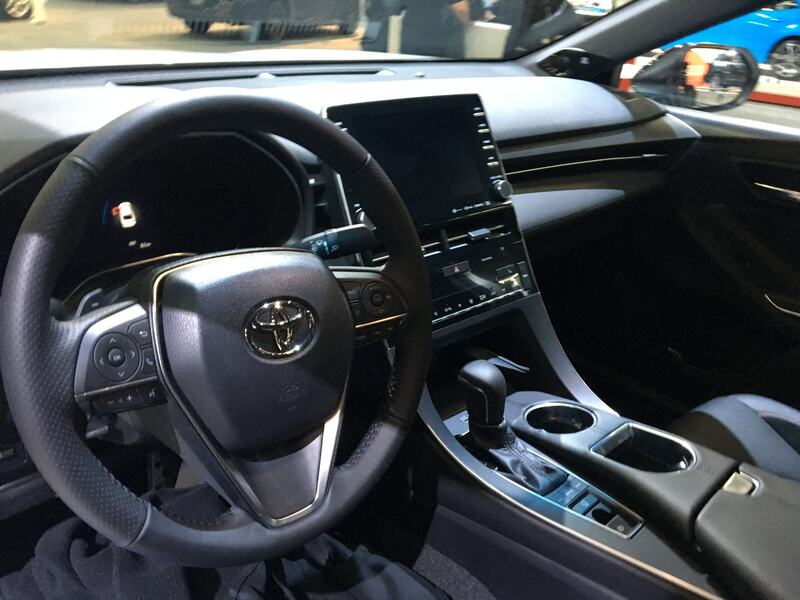 As for the 2019 Avalon, the gorgeous interior was the star of the show with two Toyota-firsts: Adaptive variable suspension and Apple CarPlay and Android Auto. All three vehicles will be available end of 2018/Spring 2019 and all will feature the all-new Toyota Safety Sense 2.0 which includes Lane Departure Alert and Pre Collision System. Here are some of the photos we captured at the Edmonton Expo over the weekend. 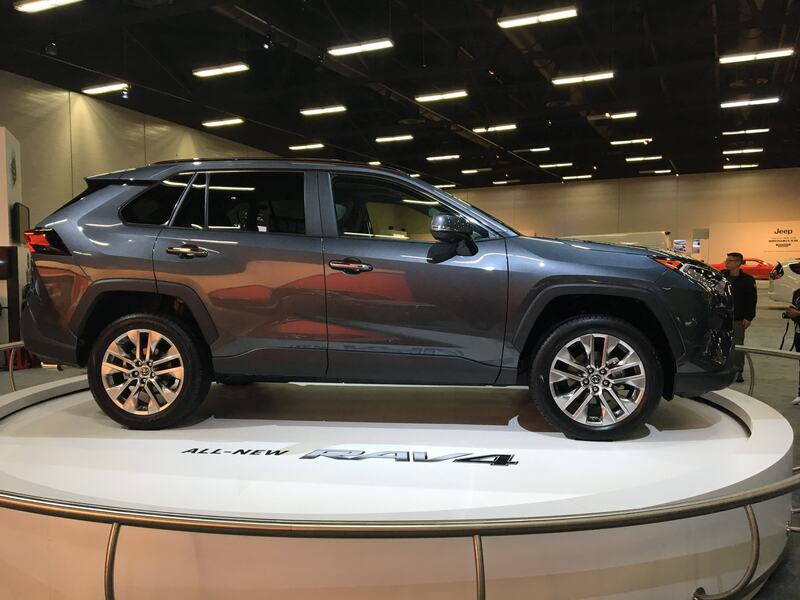 Making its Canadian debut, the fifth-generation 2019 Toyota RAV4 was certainly the star of the Edmonton Motorshow on the four days (at least we’d like to think so). This small SUV is Toyota’s best-selling vehicle and the best-selling non-pickup-truck in North America. It’s hard to deny the RAV4’s new chiseled exterior thanks to a strong nose, more dynamic profile and a longer wheelbase. Another big update is the chassis which is 57 percent more rigid than the 2018 model. That means you don’t feel or hear a thing on the road; it’s just a smooth, comfortable ride. In terms of features, there are some big additions for 2019. 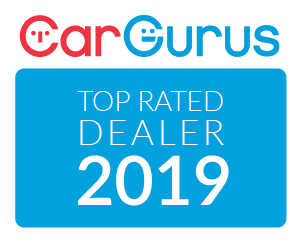 The latest tech like a heads-up display and the all-new Entune 3.0 infotainment system were on display as well as available 4G LTE in-vehicle Wi-Fi, JBL audio, and Apple Car Play and Android Auto. The Corolla Hatchback has been widely anticipated and we were excited to get a first look at it. The interior design was especially eye-catching thanks to high gloss materials paired with matte elements – silver accents and Piano Black are available if you want contrasting stitching. The standard resolution 8-inch multimedia touchscreen had a crisp look and was easy to use. And check out this list of standard and available features! Don’t get us wrong, the exterior is just as exciting. The new rear style is athletic and sporty and is shown in the new-for-2019 color Rival Blue. All grades receive LED headlamps, LED taillights, and a rear spoiler. And the hatch itself is lightweight that will help make it more fuel efficient in the long run. What’s most exciting about the 2019 Avalon are all the Toyota firsts it showcases. It’s literally leading the way for the entire Toyota lineup. 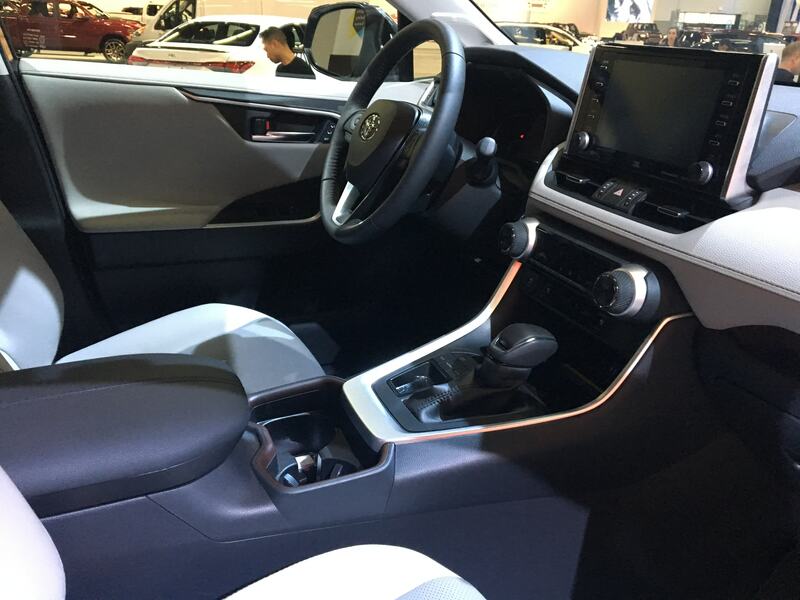 Not only does have Apple CarPlay and Android Auto, fans will fall in love with the available Yamaha wood and aluminum cabin and Dynamic Auxiliary Turn Signals. 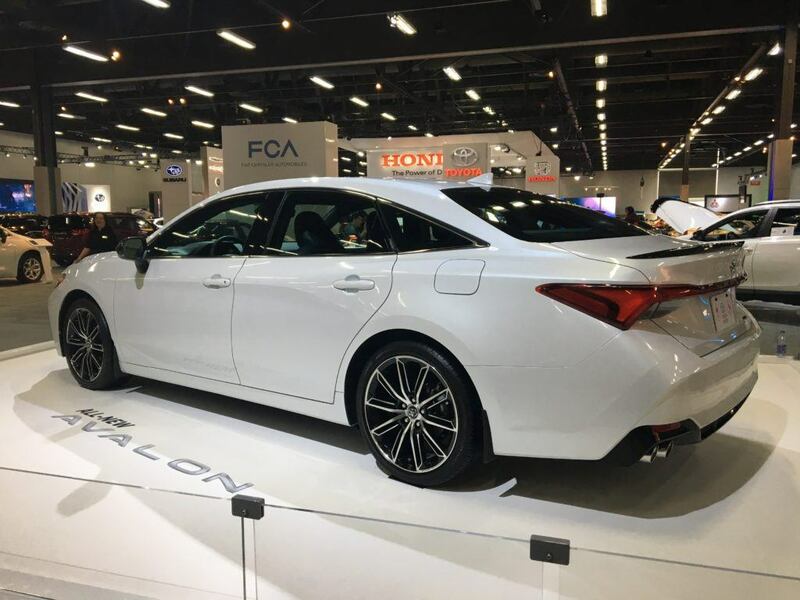 The all-new Avalon is longer and lower than previous generations and thanks to the new Toyota New Global Architecture the V6 under the hood offers more power and less fuel consumption than ever seen in the Avalon. Another fun fact – the Avalon has a sound system that has been designed to outperform everything in the segment. That means a 1200-watt 14-speaker surround sound system brings the takes the Avalon’s appeal overboard.